An app parents approve of? One thing parents struggle with is which products the children may decide to buy, which ones to buy together, or which ones to buy on behalf of the children. Often this depends on who is providing the money, but as kids get more affluent, parents gradually lose control. I’m having problems getting my mind round this recent app idea from Lidl. It’s a duvet cover with QR codes on it. 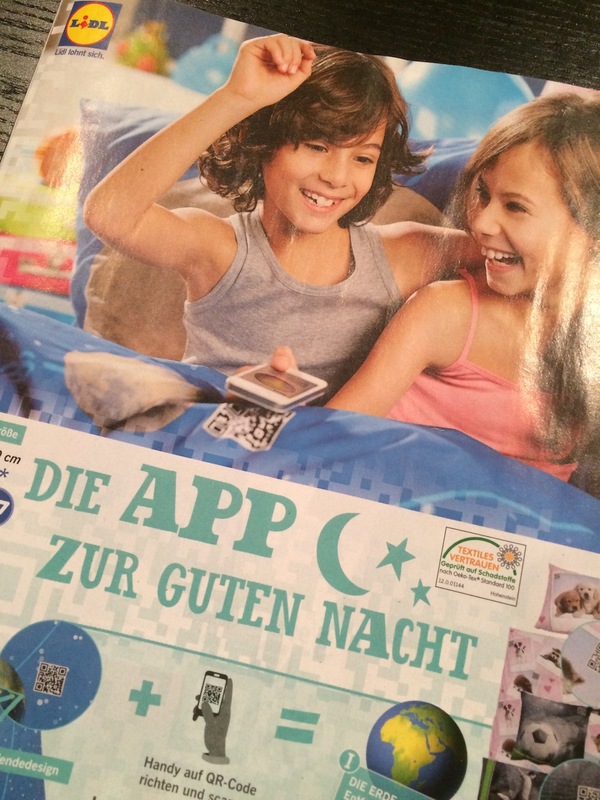 The ad suggests it’s “the good-night app”. Who for? Please Lidl, are you seriously suggesting parents will get their already addicted netgen digital native children a product that will keep them plugged to the screen even when they are supposed to be sleeping?! This entry was posted in Buying behaviour, Marketing mishaps and tagged Lidl. Bookmark the permalink.